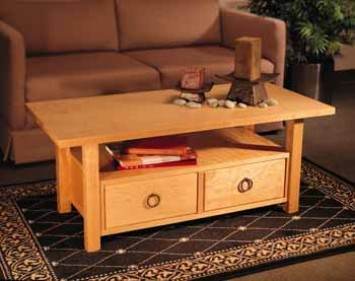 Coffee table plans can be used to make any size or style of coffee table and there are many materials that one can use to create a stylish and unique piece of furniture. Build a budget table with stock lumber, varnish and urethane that will take the heavy use of a growing family or add style with exotic woods and detail for an elegant, refined look. 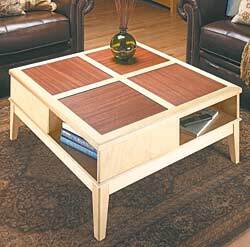 Free coffee table plans are easily adapted to your personal style and your family's needs. 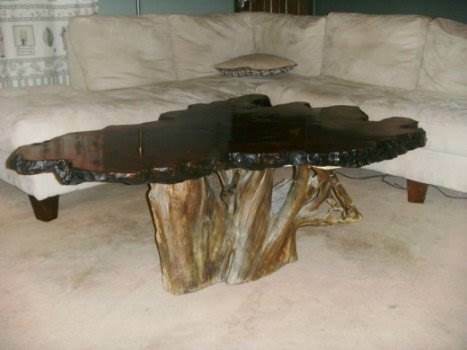 Here are coffee table plans for a beautiful one of a kind driftwood coffee table. 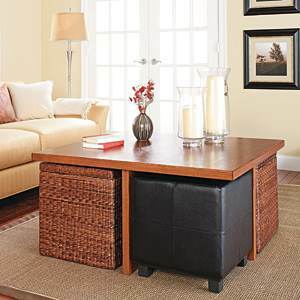 This Asian coffee table not only looks great but offers extra storage with an underneath counter and two drawers. You can build a good looking rustic coffee table with these plans. 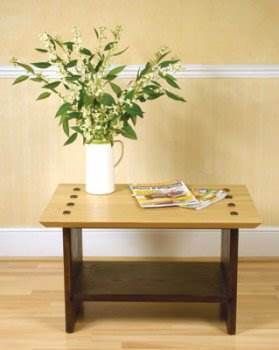 This beautiful coffee table has somewhat of an oriental style to it. A simple project, yet some designs need to be carefully thought out while creating it. Design a simplistic coffee table that provides a unique look, while giving you extra storage space. This design allows you store objects and seats under the table. 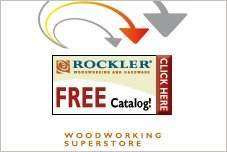 Free woodworking plans for a strong and sturdy coffee table built completely out of cedar. This table works great for small areas. 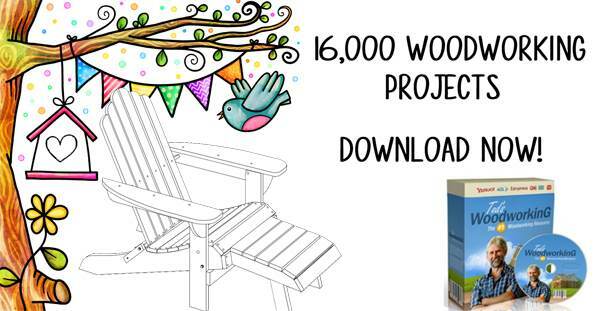 Free coffee table plans for a chest and coffee table all in one. With this project you can have extra storage plus a coffee table for the living area of your home. Drawings only, there is not an actual photo of the finished item. 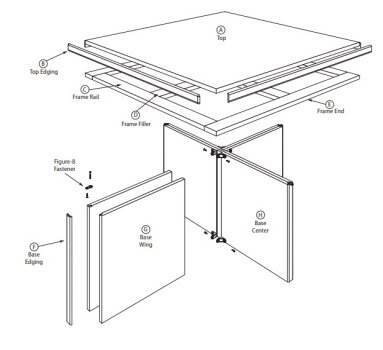 Here are cutting diagrams to help build a square coffee table. Here is a great rustic looking table that will cost very little to make. This table would work well for the livingroom or den, or even the patio. 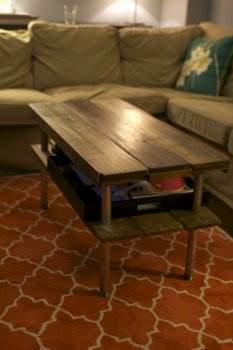 To make this coffee table, you will need 2 wood pallets, sandpaper and a gloss paint in your color choice. White paint works well with this rustic look. First, check the pallets for loose nails or staples. Use a nail punch, hammer and pliers to remove them or pound them into the wood below the surface. Sand the surface of the wood with the belt sander and/or rough-grade sandpaper. Then use medium grade sandpaper to remove any splinters that are left. Now it's ready to paint. Remembering that this is a rustic look, the paint doesn't have to completely cover. Just brush paint on all the wood surfaces. To finish, stack one pallet on top of the other to form a coffee table. Not only do you now have a "green" coffee table, it can be used outdoors as well.